Hey guys! I've always been an avid user of Kojic Acid Soap for more than a decade now and I've been loving the results so much that I rarely try other bath soaps. For years, this generic soap from Beauchamps Pharmacy has served me well and has kept my skin in good shape. It was only in the past couple of years when I started trying different brands of facial wash but I remained loyal to Kojic Acid as my bath soap. 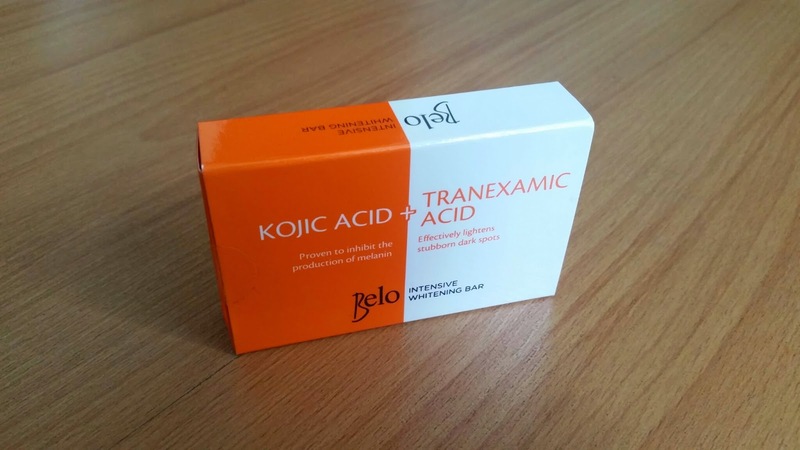 This long love for Kojic Acid made me all giddy and excited on learning that Belo came up with their own version of this iconic soap. 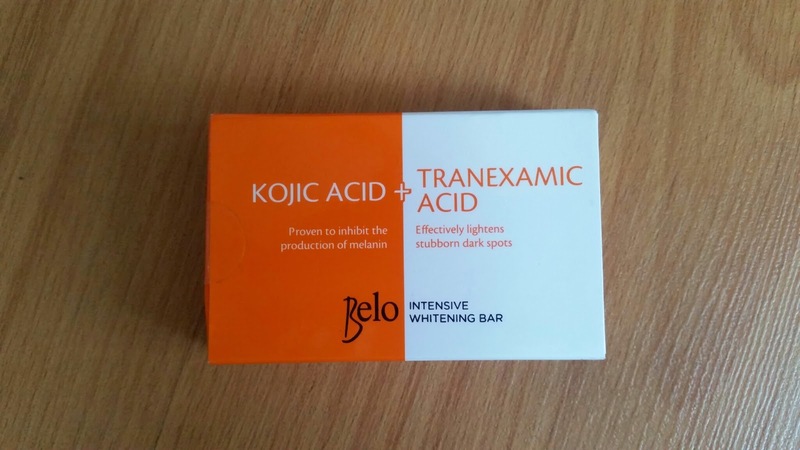 The Belo Intensive Whitening Bar features both Kojic Acid and Tranexamic Acid as active ingredients that target to lessen melanin production. This combination is clinically proven to whiten skin better than Kojic Acid alone. I'm impressed with the neat packaging and I also like seeing the expiration date on the label. 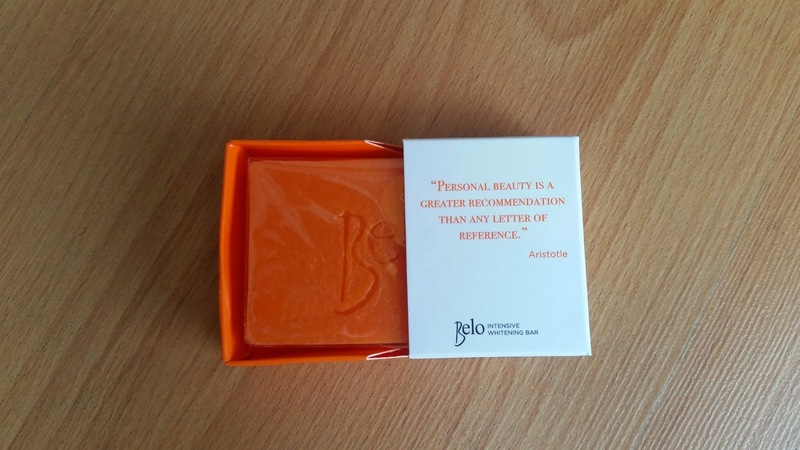 I like that Belo also thought of including an easy to open seal with its peel off tab on one side. 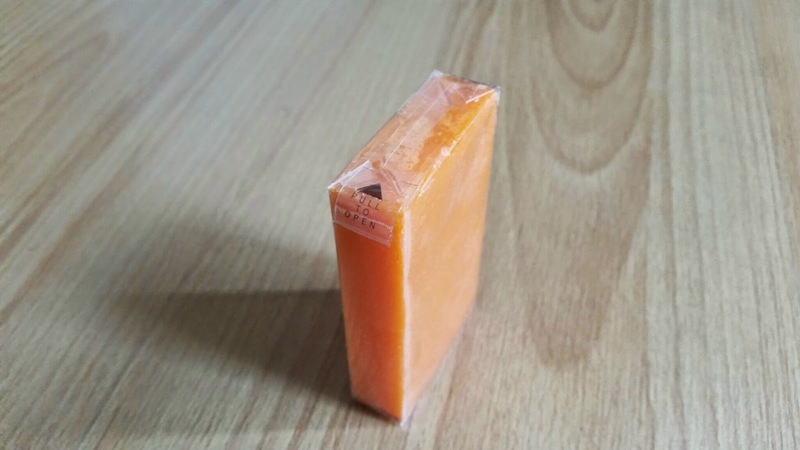 This soap has a subtle scent and builds up a thin lather. The size is just enough for personal use at 65 grams/bar but a bit more expensive at 59.75 Php compared to other soaps containing Kojic Acid. 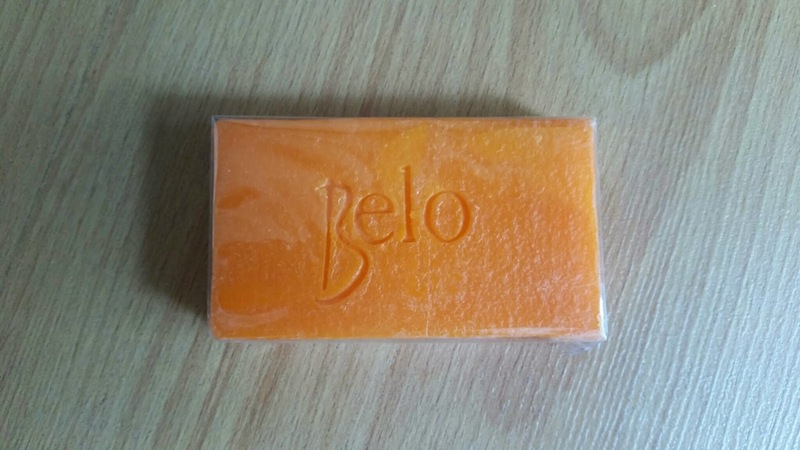 Like other Kojic Acid soaps, the Belo Intensive Whitening Bar easily melts so make sure to use a soap dish. I noticed that it tends to dry the skin after each use but doesn't cause visible peeling. I haven't really seen its whitening effects after one week but I'm pretty hopeful in the next days. 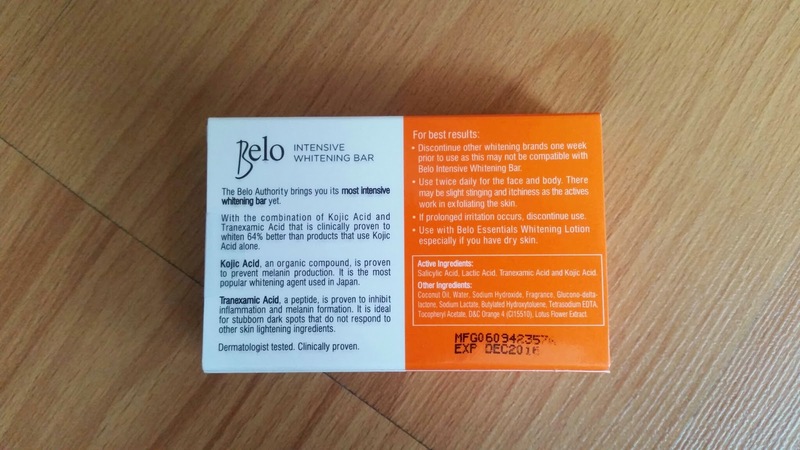 Any thoughts on the Belo Intensive Whitening Bar? Do share them on the comments below. Thank you for reading this post and have an awesome Christmas!